This interactive discussion presents the scientific facts of why BSL (Breed Specific Legislation) does not make communities safer. Deirdre Franklin provides a strong case as to why the focus should be on individual dog owners rather than entire breeds or types of dogs. BSL is a hot topic that affects dog owners, non-dog owners, dog trainers, and their clientele. This presentation will provide solutions for effective community safety through breed neutral recommendations. To understand why Breed Bans do not improve community safety, where these laws are in effect, and where they have been overturned. To learn how to spot the facts versus the myths and to identify “junk-science” and “fake-news” through history and arcane myths. To understand the adverse effects of breed specific legislation. We will discuss potentially poor decision-making by dog owners as well as the costs to taxpayers. How to prevent dog bites through education, community safety, empowerment and inclusion. 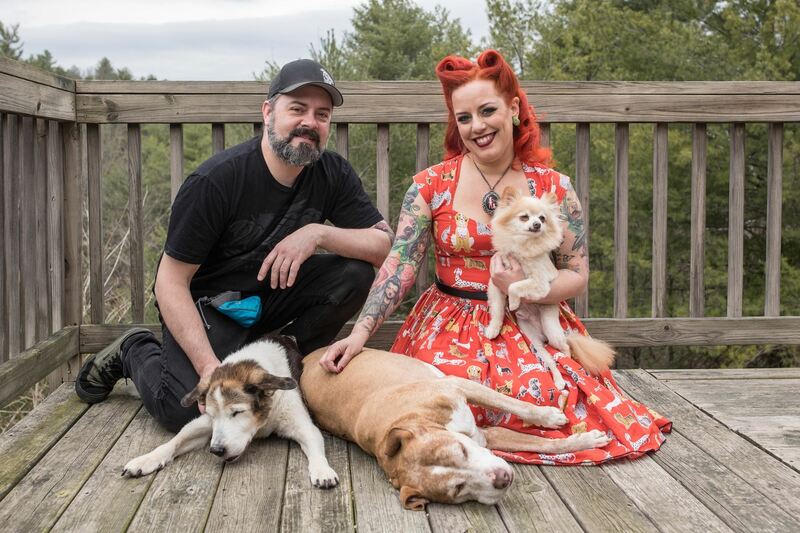 Deirdre S. Franklin is the founder, President and CEO of Pinups For Pitbulls, Inc. (PFPB). Having founded PFPB in 2005, Deirdre works tirelessly to educate the public on the most current and scientific facts to oppose Breed Specific Legislation and Laws (BSL). PFPB is an organic, grassroots organization with a very large, active contingency. Deirdre earned her Master’s Degree in Public Policy from Drexel University, in which her Thesis focused on BSL and community safety. She provides educational seminars throughout the United States and has been awarded with the 2018 Hero Award by Hello Bully, 2015 Wallace Award and American Dog Magazine’s Voice To Stop Illegal Dog Fighting, among others. Deirdre sits on the board for Woof Meow Rescue (Asheville, NC) and is an active volunteer with the ASPCA Behavior Rehabilitation Center (Weaverville, NC). She is a twice-published author who leads through positivity, respect and empowerment.